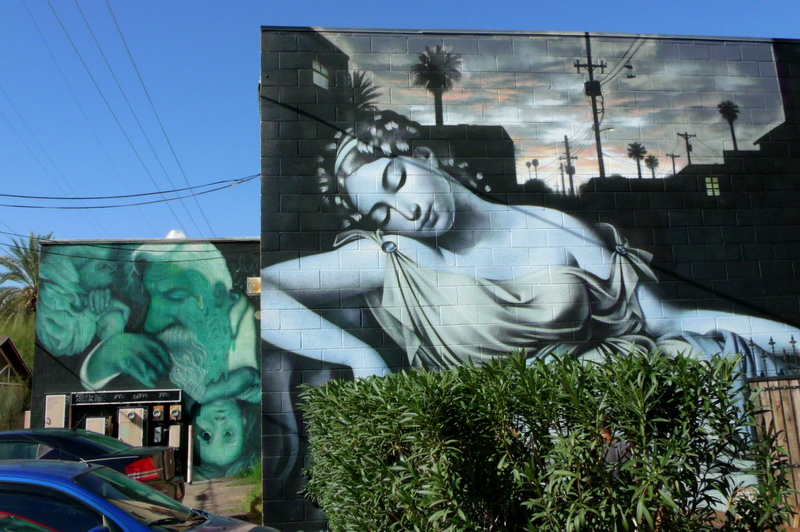 City Paint Phoenix 16 – King Wong Whisper…. 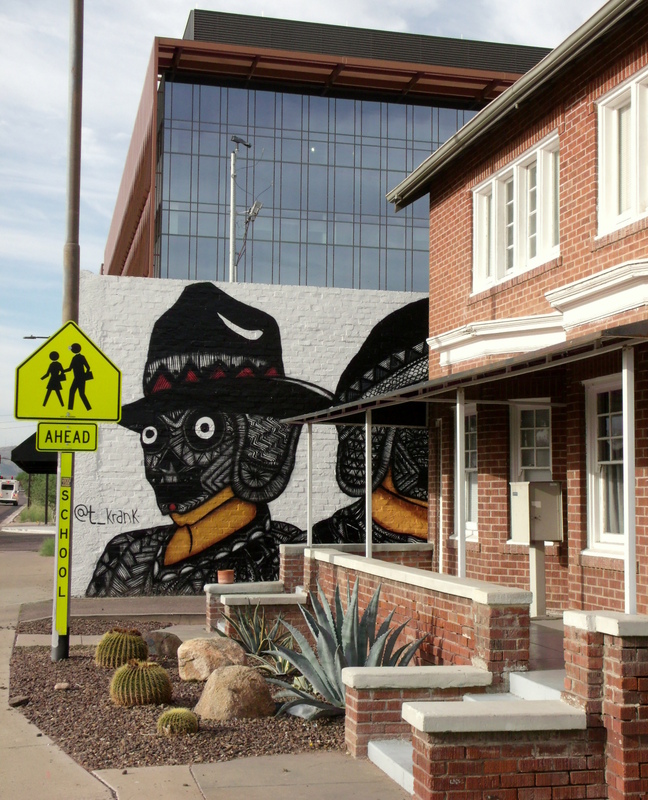 It’s been a while since I shared any of the city’s building art, but here’s another installment in the City Paint Phoenix series…something that I have named “King Wong Whisper,” as it appears that the young man is suggesting that we speak quietly…or maybe he’s encouraging us to not tell a secret…. The images have been tucked-away in my phone since May of this year…. I was “out in the field” for work and happened to notice the brilliant colors on the side of the building as I drove past. And I knew that I absolutely had to turn around and take a minute or two to grab a couple of photos. 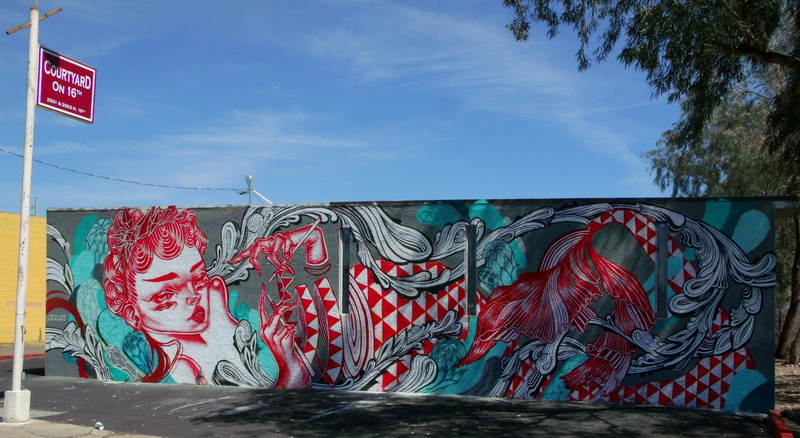 Amazing work…in my opinion…by an unknown artist on the north side of a strip mall located at 2545 N 32nd Street in Phoenix…”King Wong Chinese Restaurant.” Click on the link to view the menu…and to see if you’re in the delivery area…. 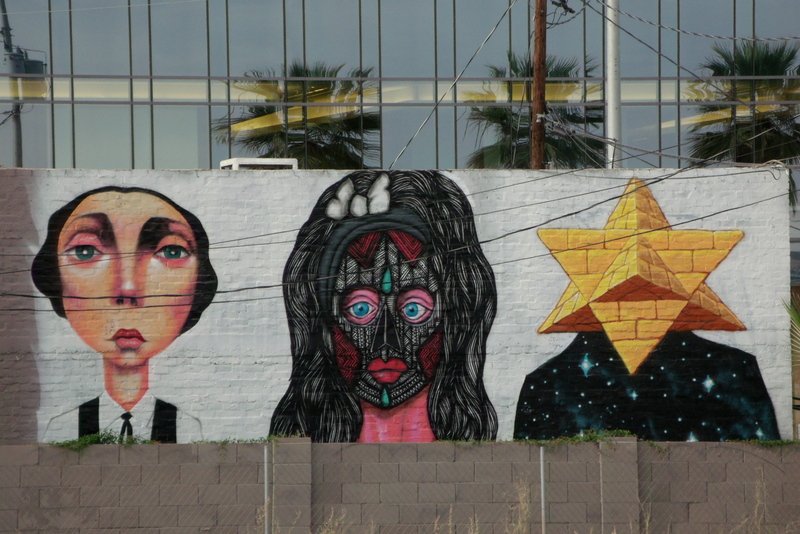 Another bit of iPhound art…..
It’s been almost two months since I posted any of the street art images that I’ve collected since my return to Phoenix, and while this one isn’t typical of the city’s offerings, it is a rather grand image on a down-town building in the central corridor. 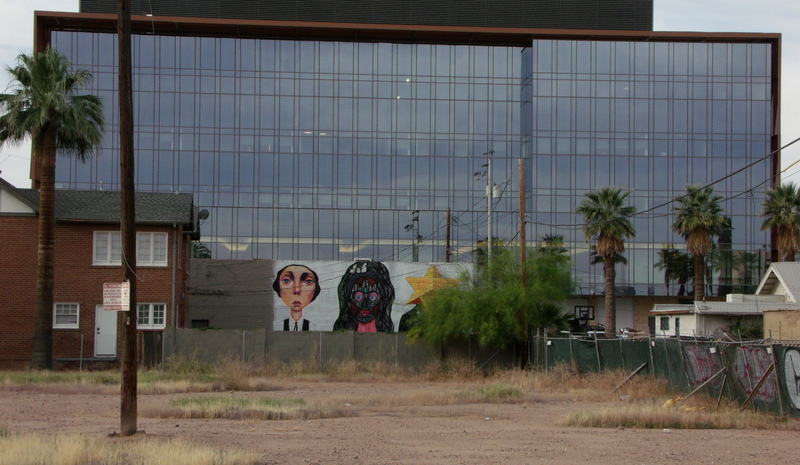 The mural is on the south-facing side of the Fast Signs building at 2517 North Central in Phoenix. I’m not sure how long it has been there and I don’t know anything about how or why it came to be. 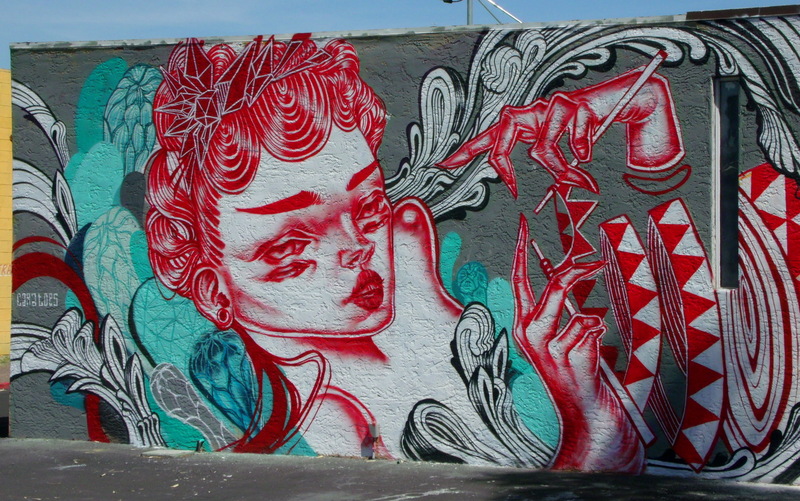 I searched for what appears to be the artist’s information via the website information that they provided on the far left side of the mural, but was directed to a nail-fashion site…so it’s probably not related. 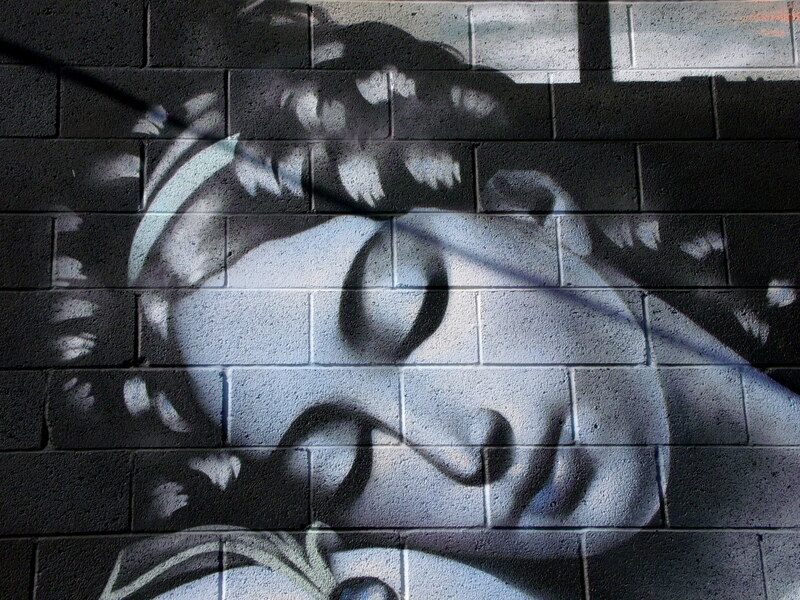 When I Googled the name of the mural, I found this link with photos that show the artists actually painting it…. 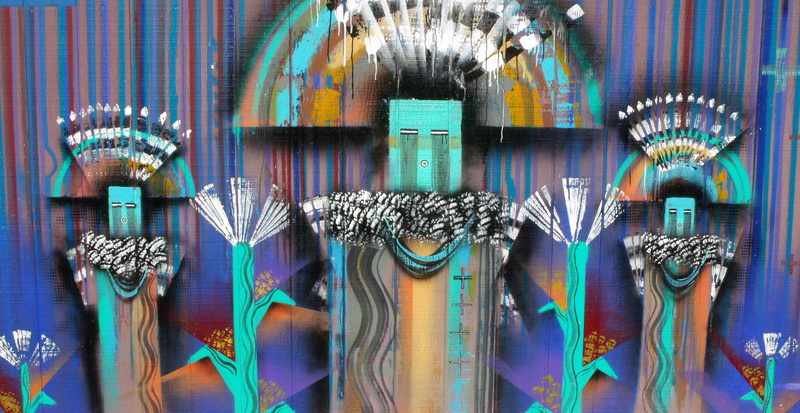 If you would like to see more of their work, you can click on each of the artists’ highlighted names to be taken to their individual websites: Lalo Cota and Isaac Caruso. 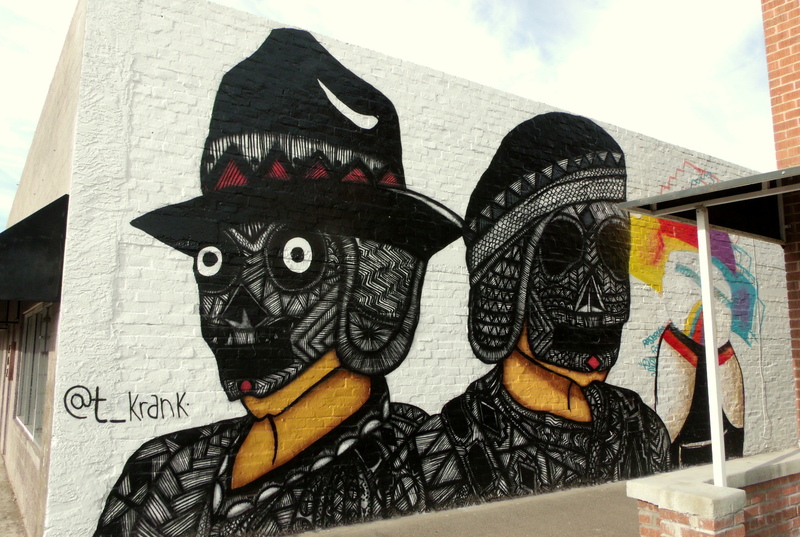 And if you’re interested in viewing earlier posts on street art in Phoenix and Salt Lake City, you can scroll to the bottom of the page, find the Categories widget toward the right side, and click on Street Art – Graffiti. 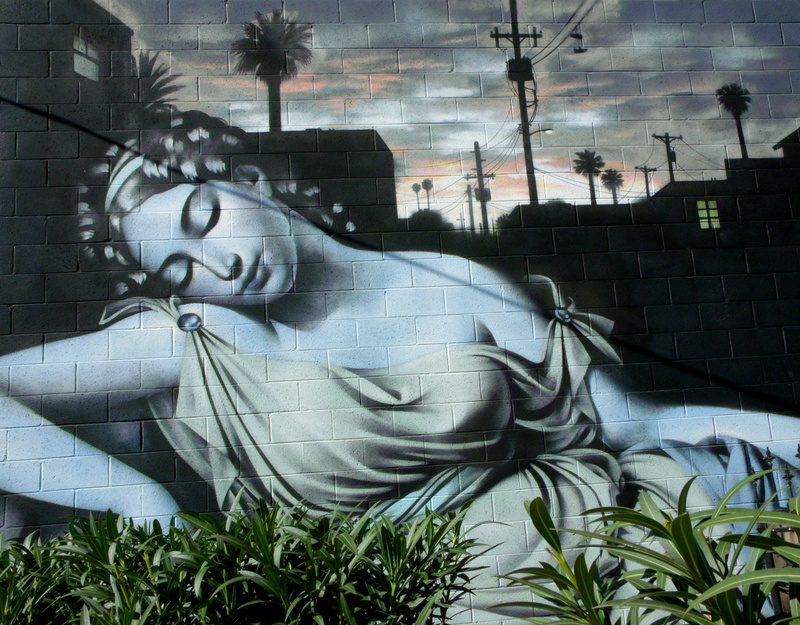 Thanks for visiting…now go Find Your Direction….. 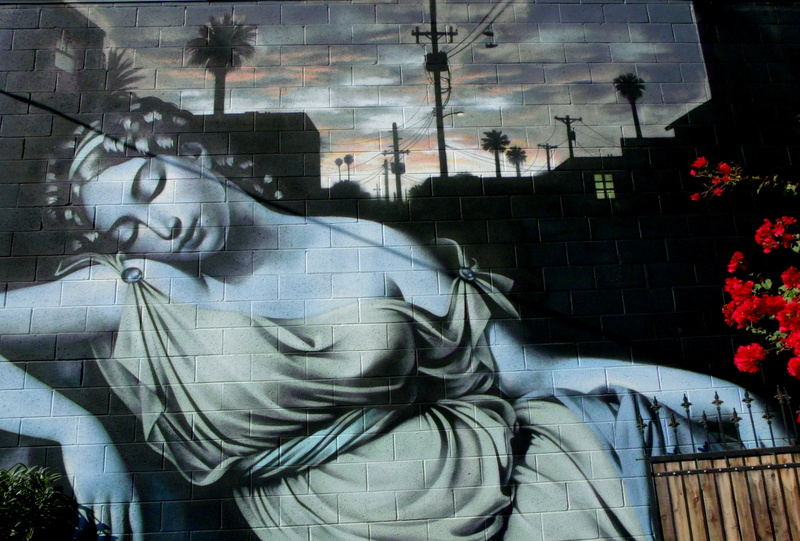 Here is yet another of El Mac’s murals that one can find in Phoenix. 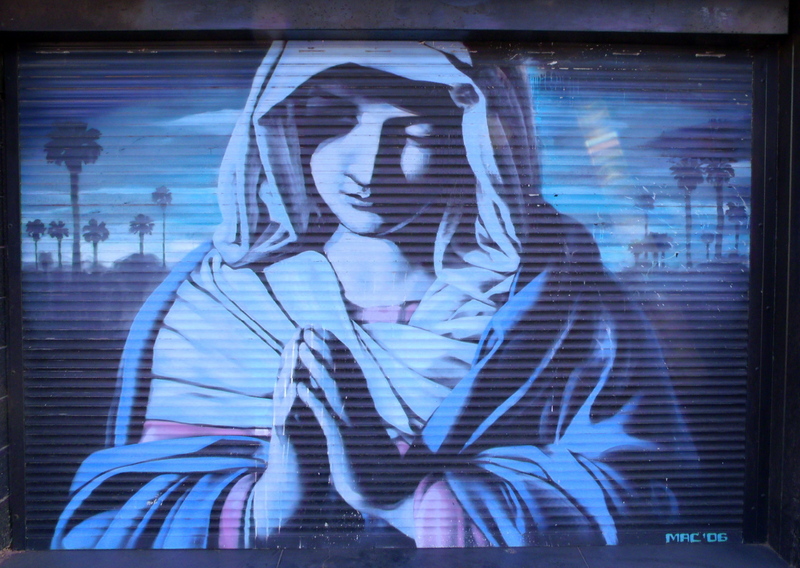 You can see some of his other work in City Paint Phoenix 3, 6, 7, and City Paint 4 and 17 in Salt Lake City….and you can get to those other posts by scrolling to the bottom right corner of this page and clicking on Street Art – Graffiti under the Categories widget. 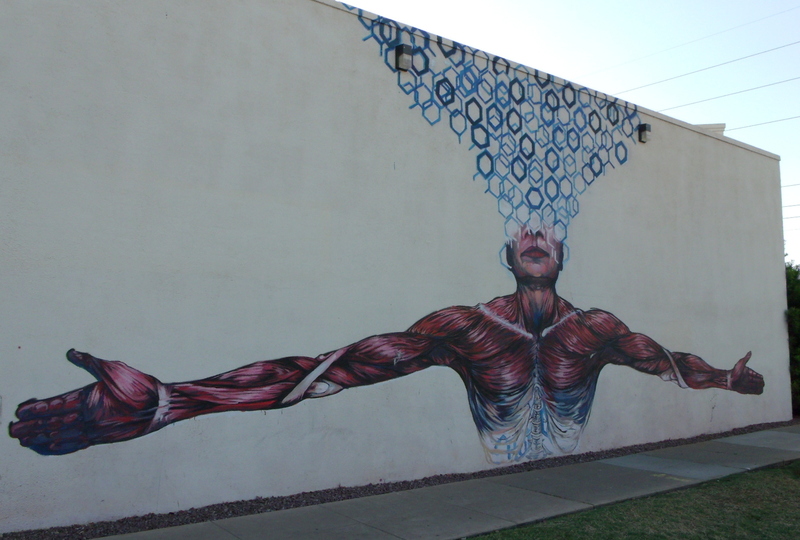 This particular mural is located on the south and street-facing side of Love and Hate Tattoo and Piercing, located at 322 West McDowell Road. You can click on their highlighted name to be taken to their webpage…if you’re interested. 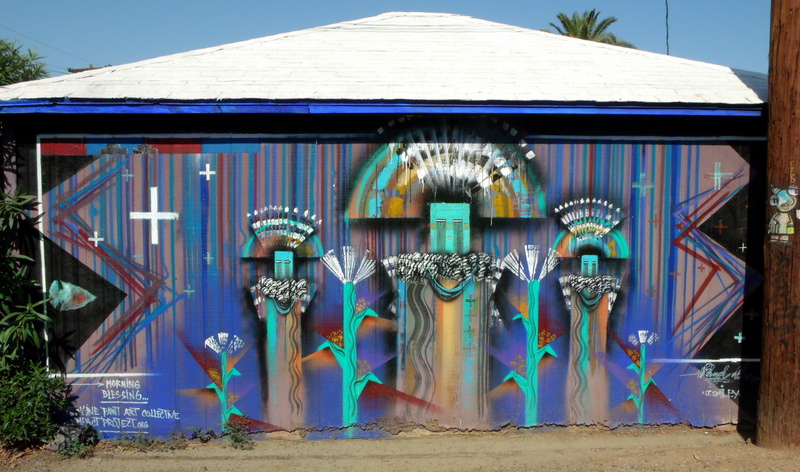 I found this “shed-sized” mural on the other side of the parking lot behind the Barrio Cafe at 2814 N 16th St. 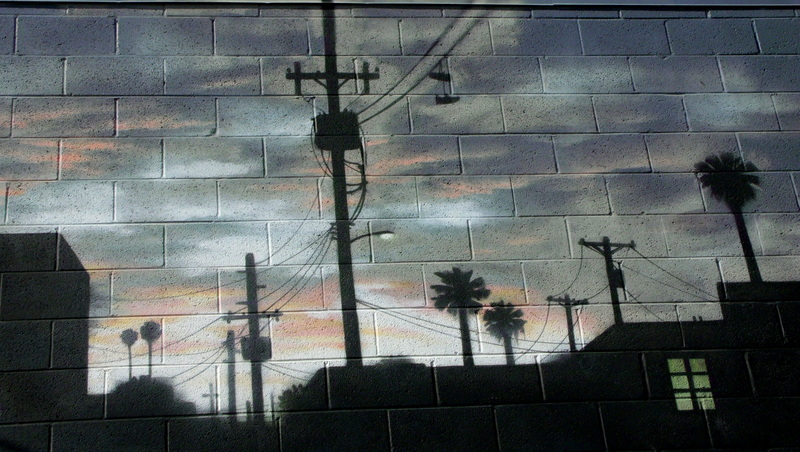 This entire area contains houses, restaurants, sports shops, and alley walls that have been decorated with street art…some of it is easier to understand or conceptualize, and some of it is in abstract form that simply entertains in its presentation and demonstrates the skill of the artists. 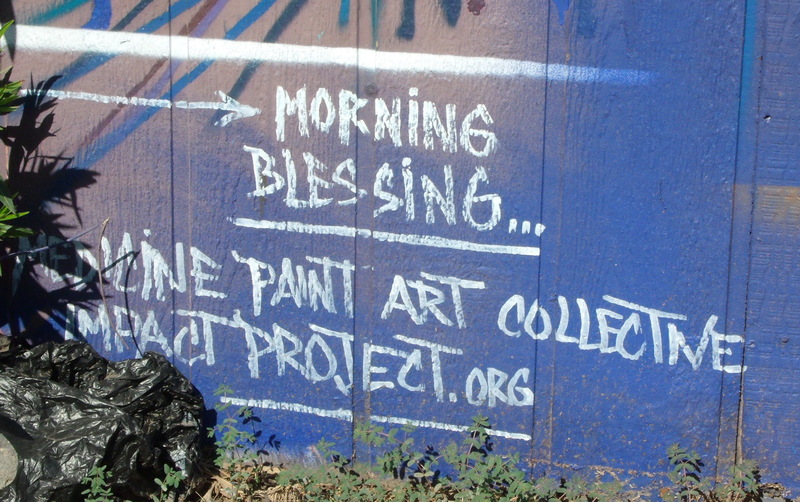 …and credits…for the Medicine Paint Art Collective and Impact Project. You can click on this link to be taken to the home page of the organization if you’d like to learn more about them….